Apple iPhone SE™ has a fused Digitiser/LCD meaning the whole screen assembly must be replaced even if the damage is just to the glass screen (digitiser). 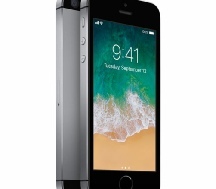 As well as damaged screens Mountain Stream Ltd can also replace other damaged components in your iPhone SE™. Please check below for prices.